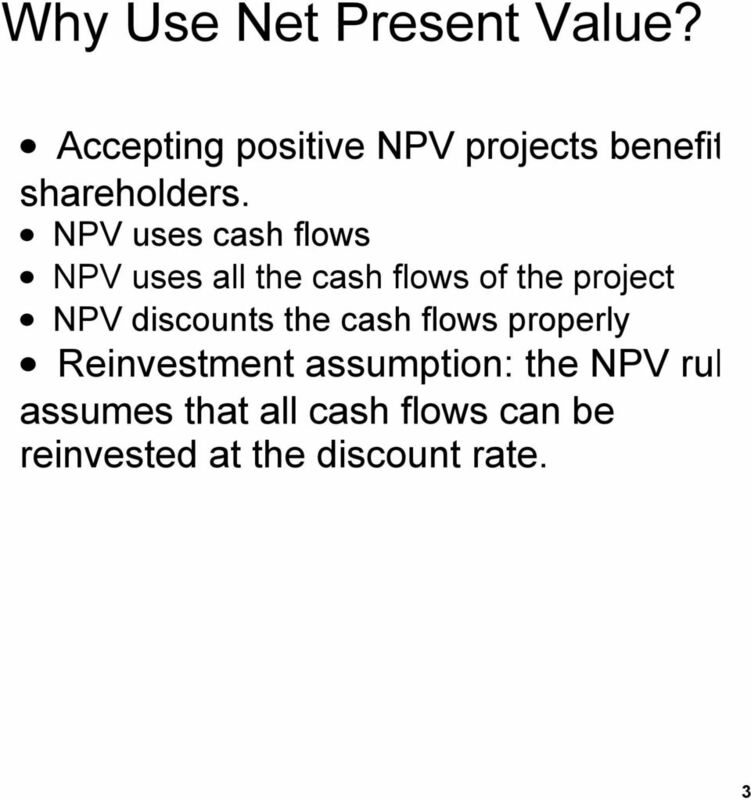 Download "Why Use Net Present Value? 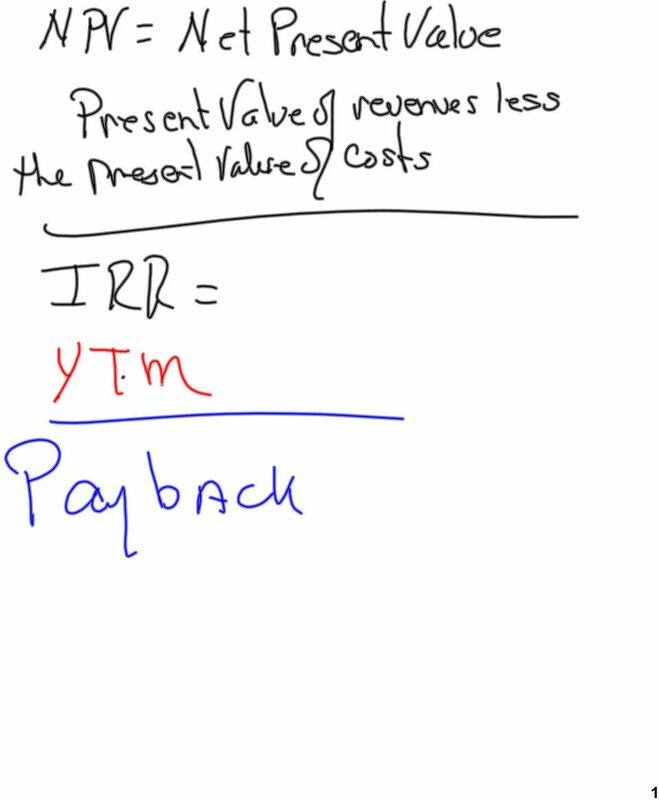 The Payback Period Method The Discounted Payback Period Method The Average Accounting Return Method The Internal Rate of"
Key Concepts and Skills. 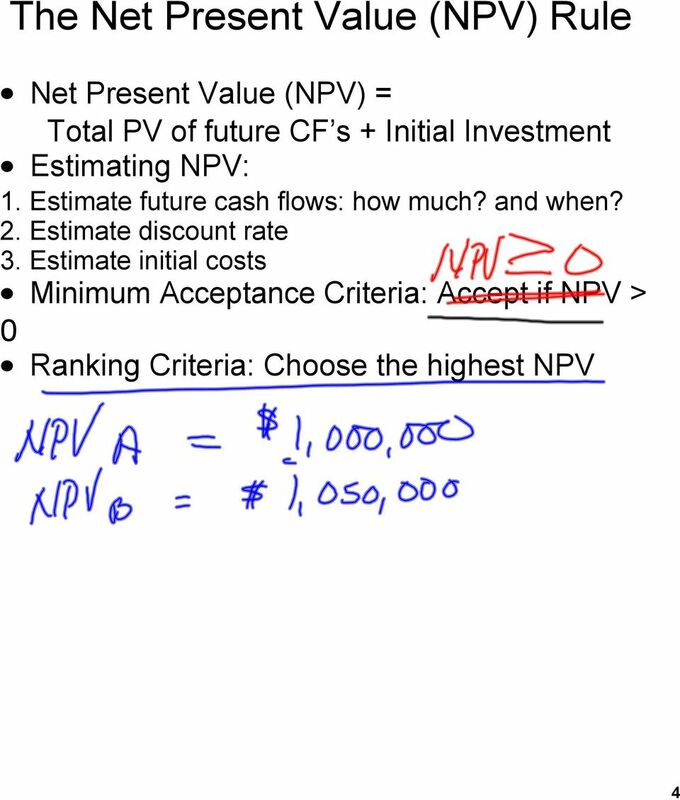 Net Present Value and Other Investment Rules. http://www2.gsu.edu/~fnccwh/pdf/ rwjch5v3overview.pdf. 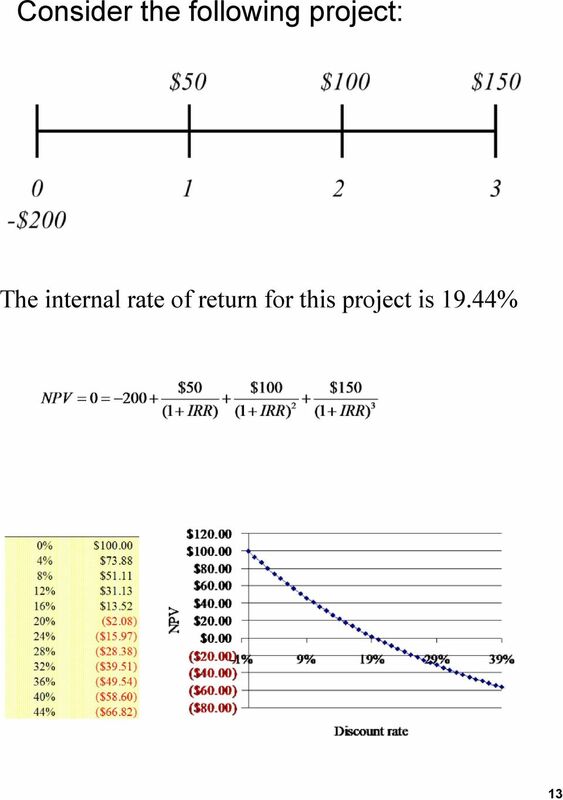 Net present value is the difference between a project s value and its costs. 1. 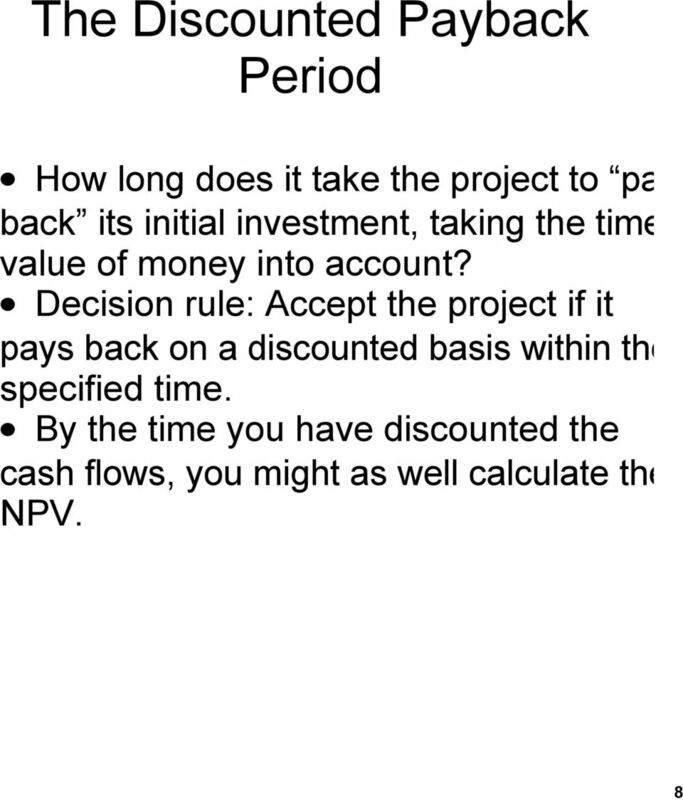 To calculate the payback period, we need to find the time that the project has recovered its initial investment. After three years, the project has created: $1,300 + 1,500 + 1,900 = $4,700 in cash flows. 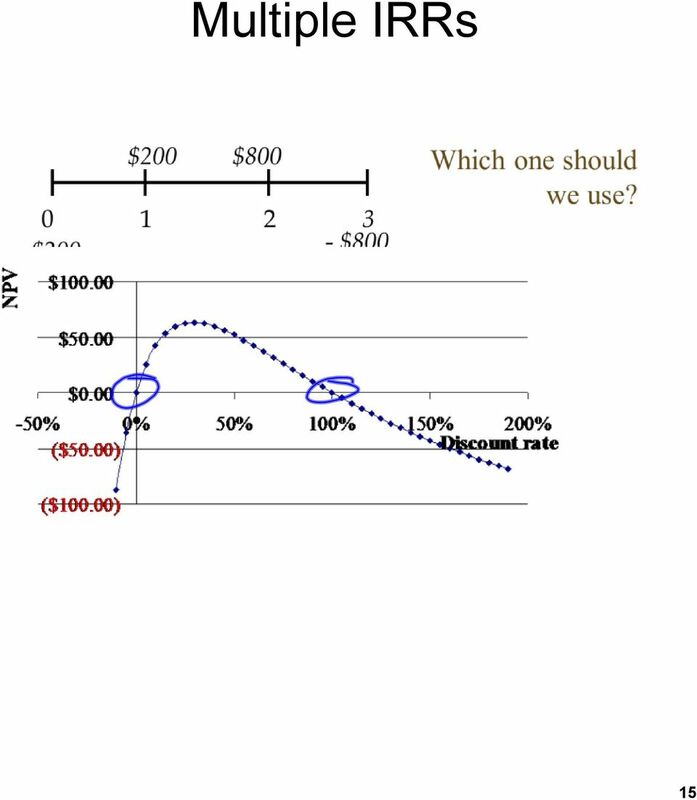 1) quantifies in dollar terms how stockholder wealth will be affected by undertaking a project under consideration. Chapter 10. 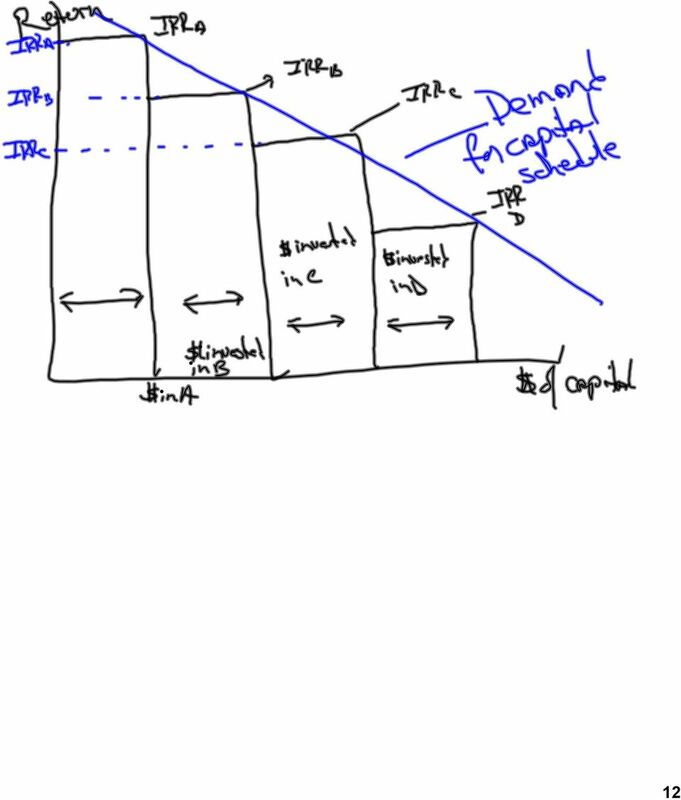 Capital Budgeting Techniques. Copyright 2012 Pearson Prentice Hall. All rights reserved. 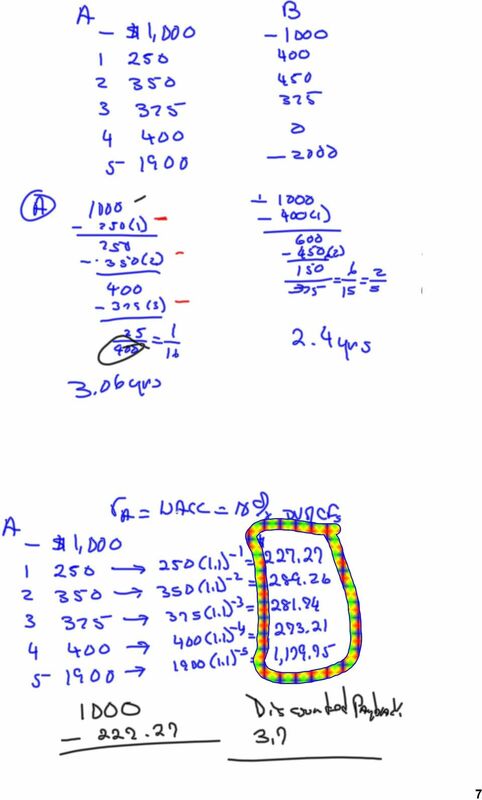 Answers to Concepts Review and Critical Thinking Questions 1. 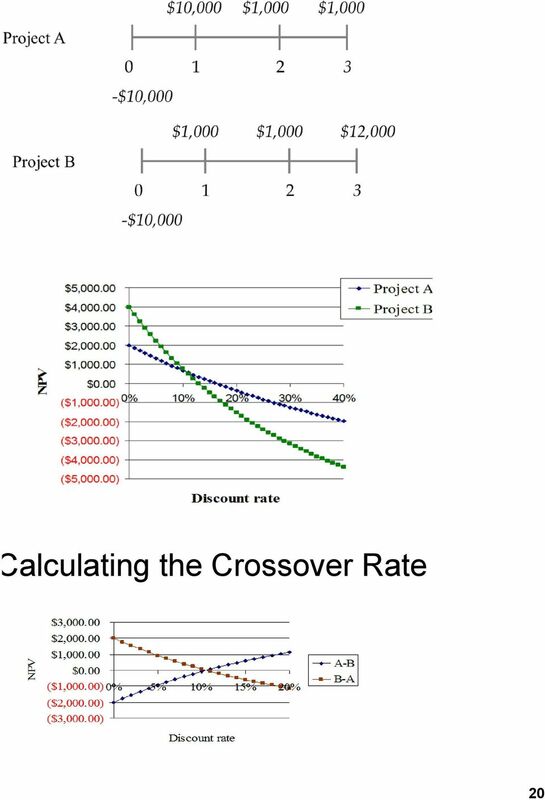 A payback period less than the project s life means that the NPV is positive for a zero discount rate, but nothing more definitive can be said. What s next? Capital Budgeting: involves making decisions about real asset investments. 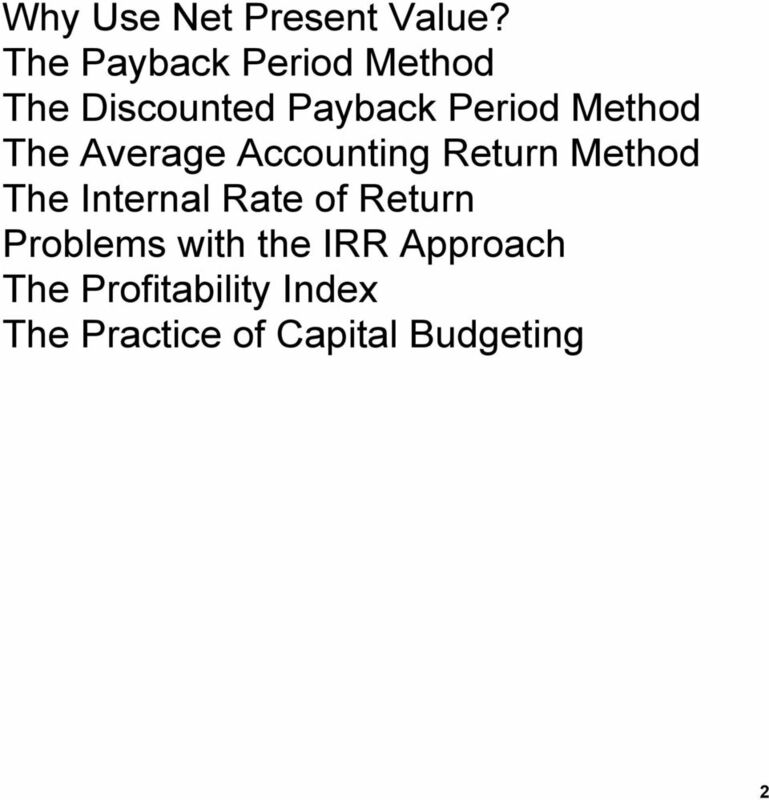 Chapter 7: Net Present Value and Other Investment Criteria Chapter 8: Estimating cash flows for a potential investment. Chapter 11. 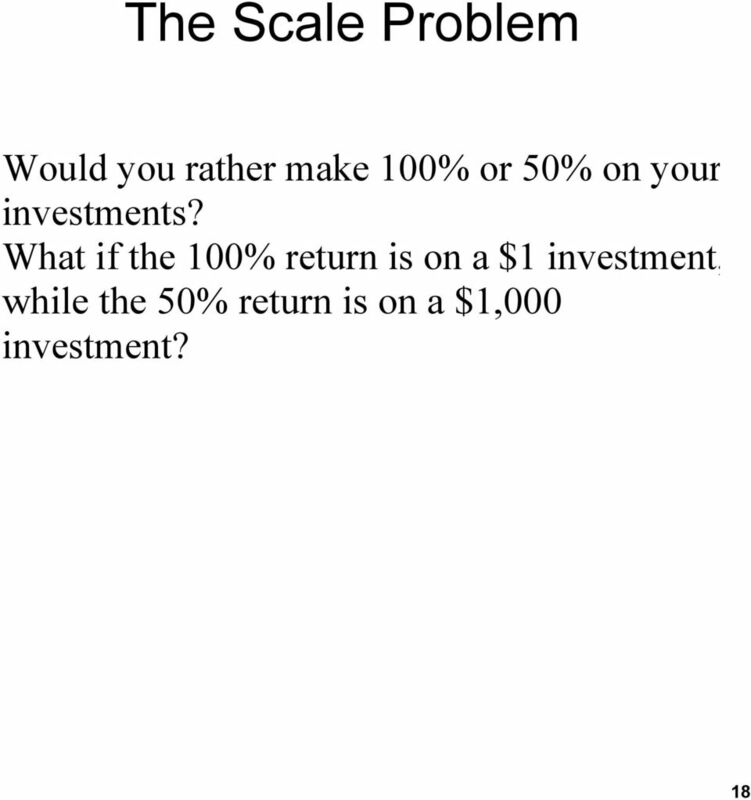 Investment Decision Criteria. Copyright 2011 Pearson Prentice Hall. All rights reserved. 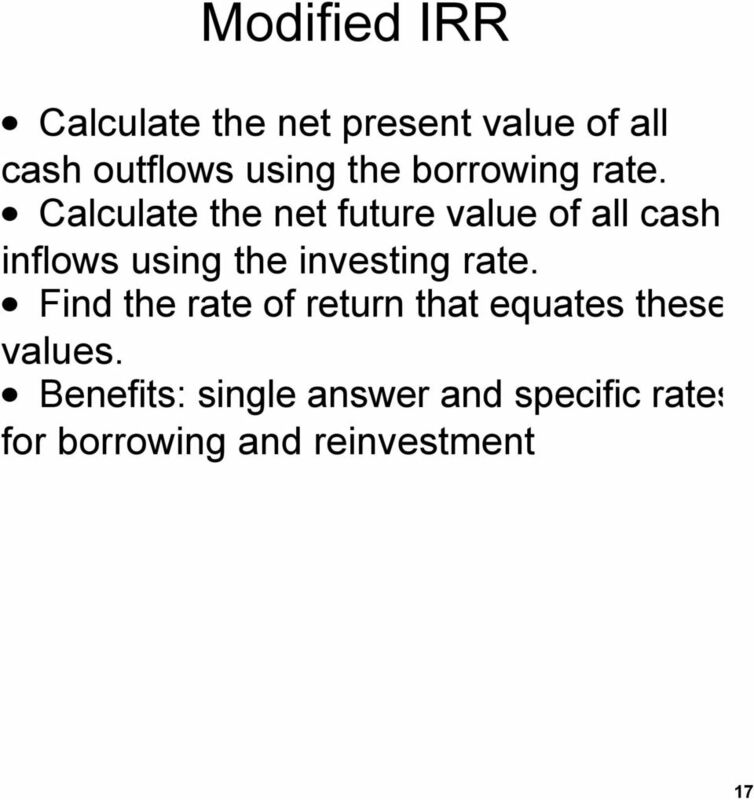 Chapter 11 Investment Decision Criteria Chapter 11 Contents Learning Objectives Principles Used in This Chapter 1. An Overview of Capital Budgeting 2. 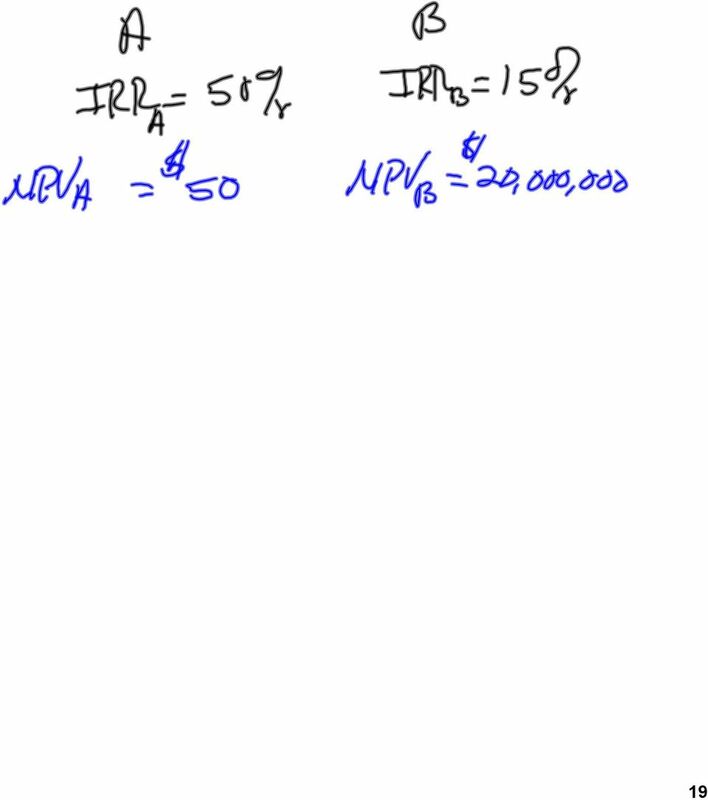 Net Present Value 3. 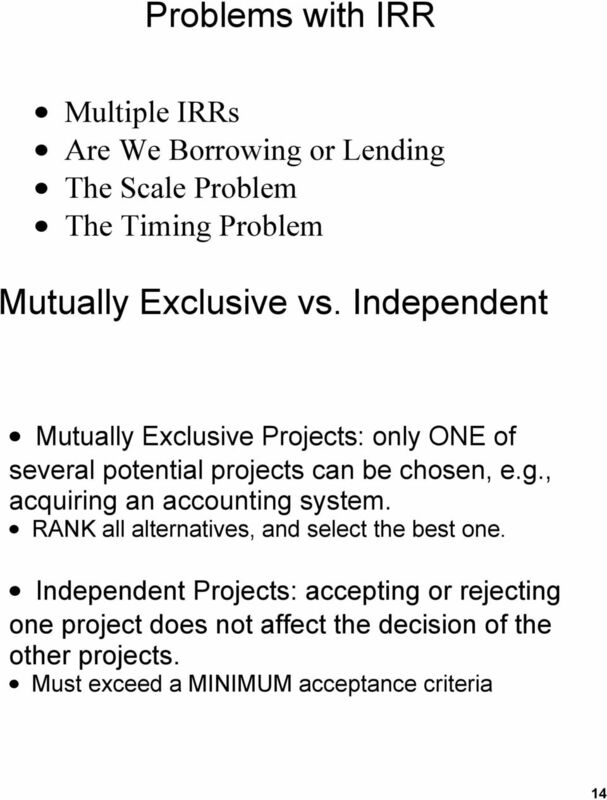 Other Investment Criteria 4. 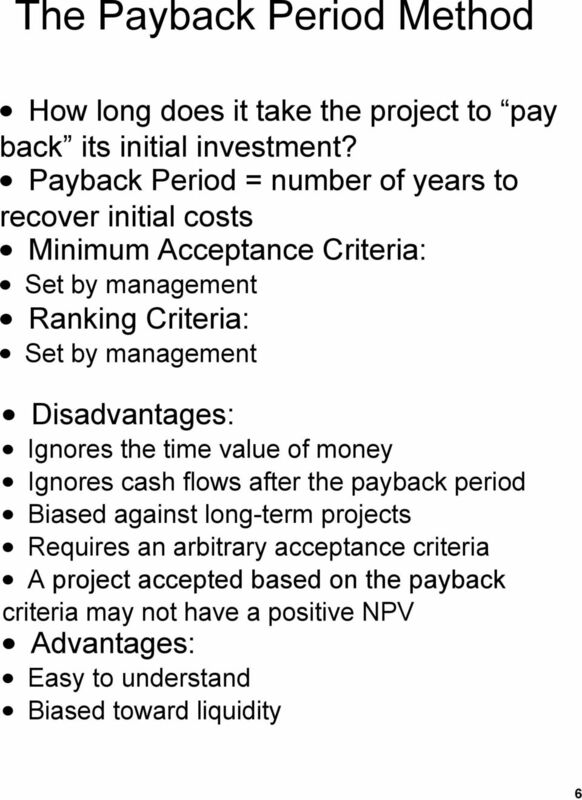 Which projects should the corporation undertake Investment criteria 1. Investment into a new project generates a flow of cash and, therefore, a standard DPV rule should be the first choice under consideration. 12-1 Planning for Capital Investments Managerial Accounting Fifth Edition Weygandt Kimmel Kieso 12-2 study objectives 1. 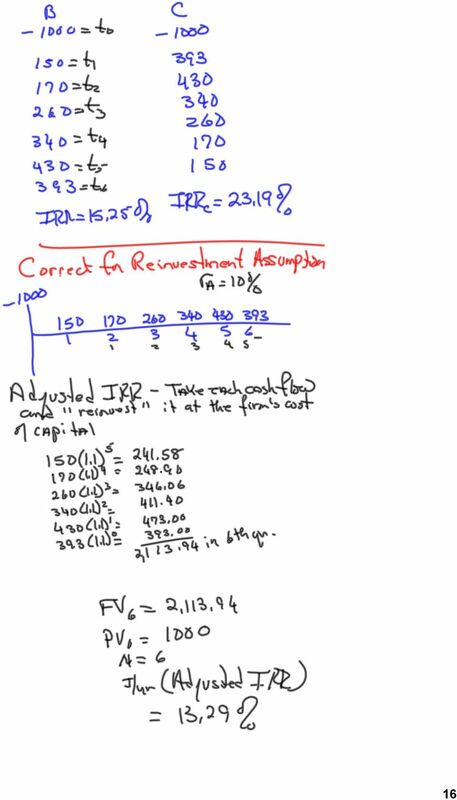 Discuss capital budgeting evaluation, and explain inputs used in capital budgeting. Capital Budgeting Focus on cash flows, not profits. Focus on incremental cash flows. Account for time. 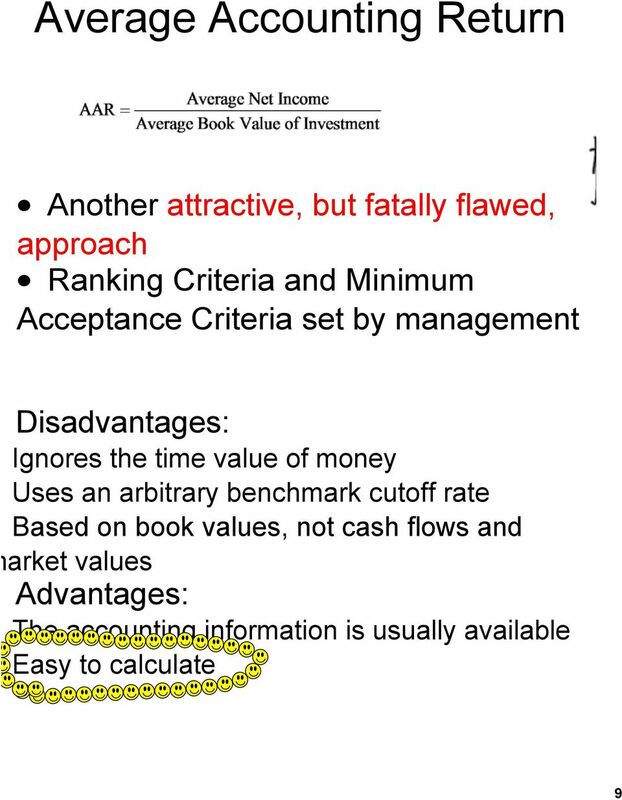 First Encounter with Capital Budgeting Rules EC 1745 Borja Larrain Today: 1. 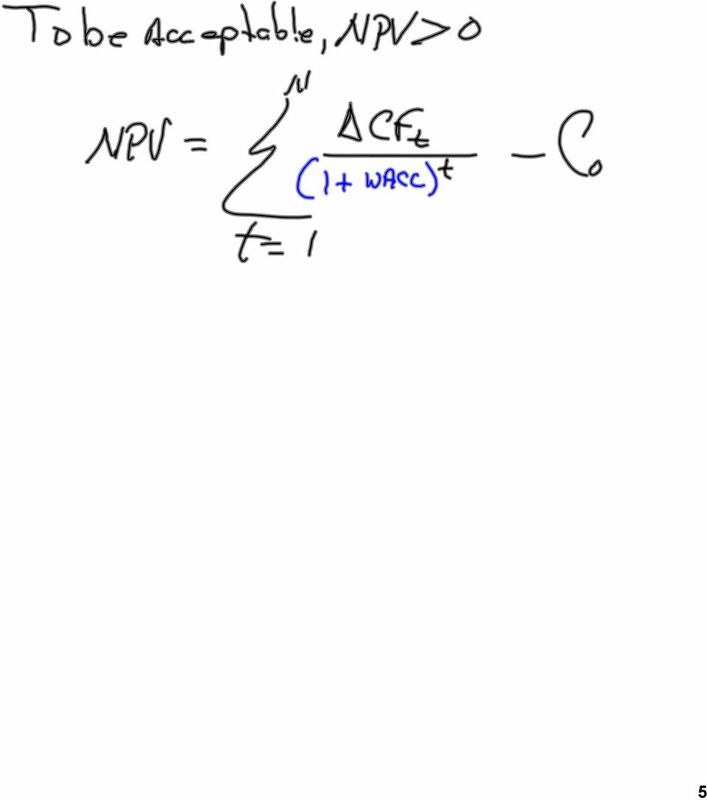 NPV as the golden rule. 2. The IRR. 3. 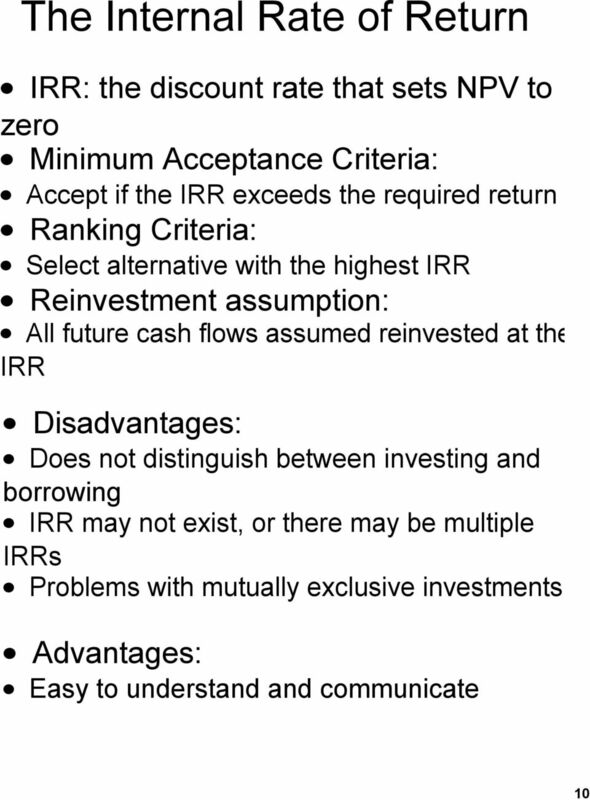 Other Investment Rules. 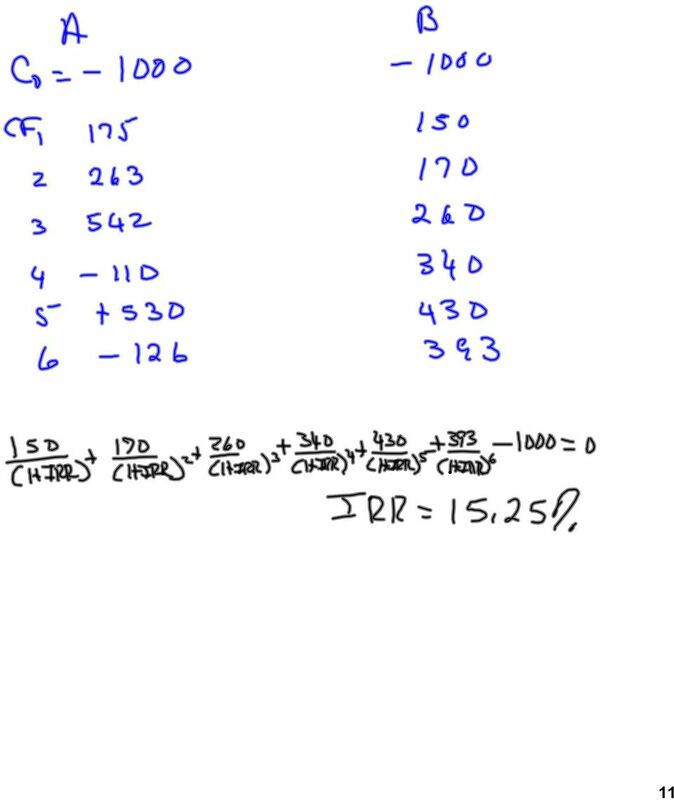 Readings: Chapter 4 Welch Assignment 1 due next class (09/29). How will the firm's total after-tax cash flows change if the new project is accepted? Management Accounting 217 Capital Budgeting Decisions Tools In many businesses, growth is a major factor to business success. Substantial growth in sales may eventually means a need to expand plant capacity.